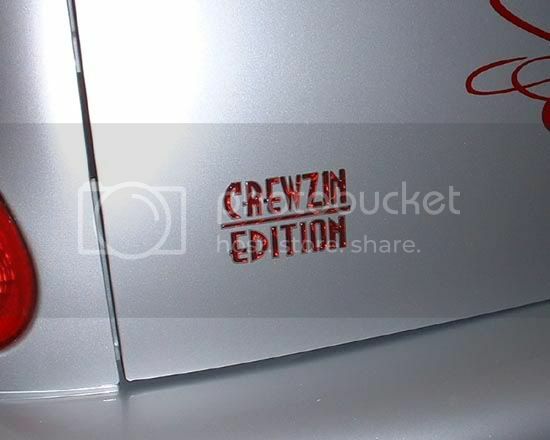 Not exactly a mod, but fun none the less, we just put on our "custom" edition, we ordered from Streamline.. it has our last name then says Edition just like the Limited Edition logo we have.. we have it on the opposite end of the hatch. Looks really cute! Where can I get one? Please tell me. That's great for you, but I wouldn't want my last name on my car. Too easy to find out where you live. Wouldn't it be just as easy to like, I don't know, follow me to my house? lol Plus isn't there ways to get your full address from your license plate? Plus we have a pretty common last name. With a last name I can find anyone on the internet. That's how I found an old school buddy of mine in another state after 34 yrs. Because of identity theft they've made it all but impossible, here in Oregon, to get your address through the DMV. Yep, Rich does good work. Yea, I get that. I'm just saying if someone wants to get my address, it would probably be easier just to follow me to my house.. in which case, it wouldn't matter if we had our last name on our car or not..